Having run several marathons, three in 2hours 38mins at the age of 40+, from a relatively small mileage volume (This is 50-55mpw), and have been injury free throughout the pre-race training, and after the races themselves, I am delivering a workshop to discuss YOUR training and help you achieve your goals, just as I have, sharing my experiences. The marathon can be a cruel distance if you do not approach the training and race itself with careful structured planning. This planning includes the training, your technique, your self maintenance/awareness and a realistic view and feedback on what you are capable of in your current fitness today. 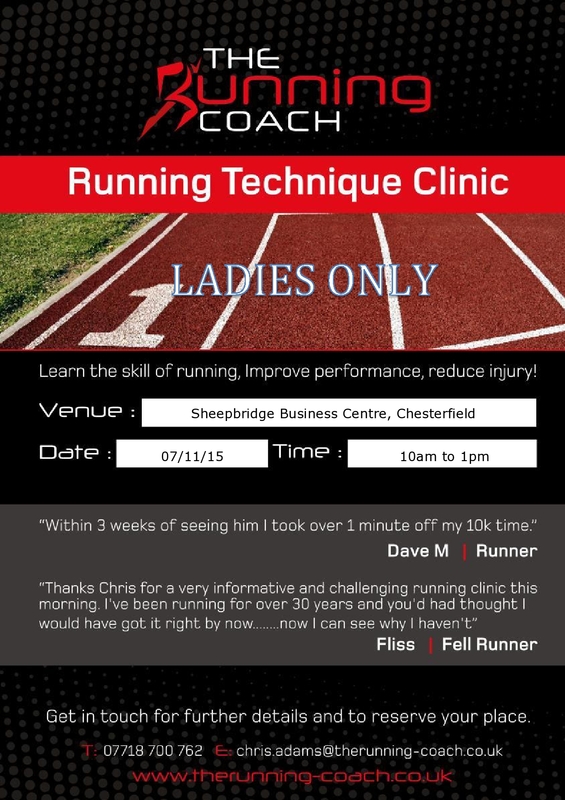 The Running Coach is delivering a Ladies Only running workshop, focusing on educating runners on the biomechanics of running (how the human body is designed to, and moves efficiently during running), practical work comprising exercises to improve flexibility and posture, and running form. An 'all you need to know' to improve your running workshop. Avoid common pitfalls, injuries, training mistakes and major technique no no's! During this 2 hour workshop delegates will learn the importance of using the diaphragm for breathing during exercise. All attendees will be using a POWERbreathe Plus evaluation unit during the workshop to practice breathing technique, as well as an assessment on their breathing strength, power and volume of air inhaled in a single breath. Learn the skill; Run Happy!! 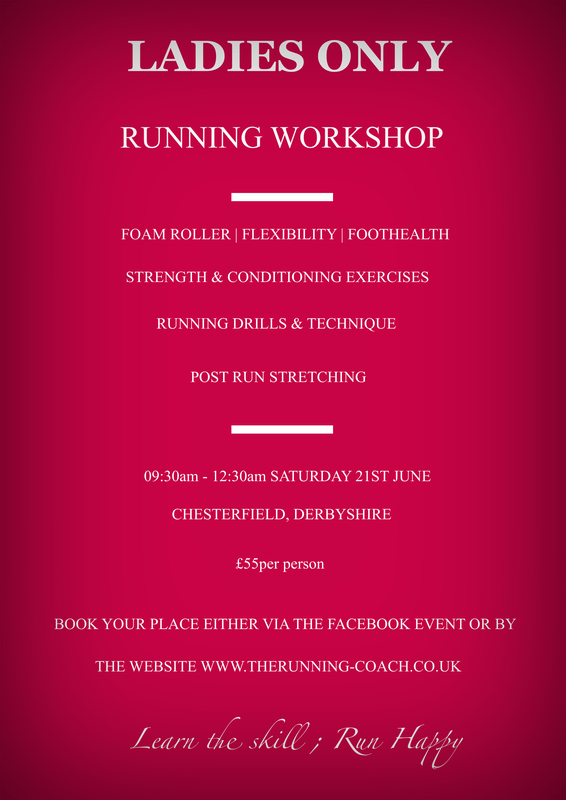 The Running Coach will be attending Woodlands Fitness Centre Open Day, Dronfield, Derbyshire, on Saturday 17th May. We will be discussing running styles, skilled movement and techniques to improve running form with new and existing members.